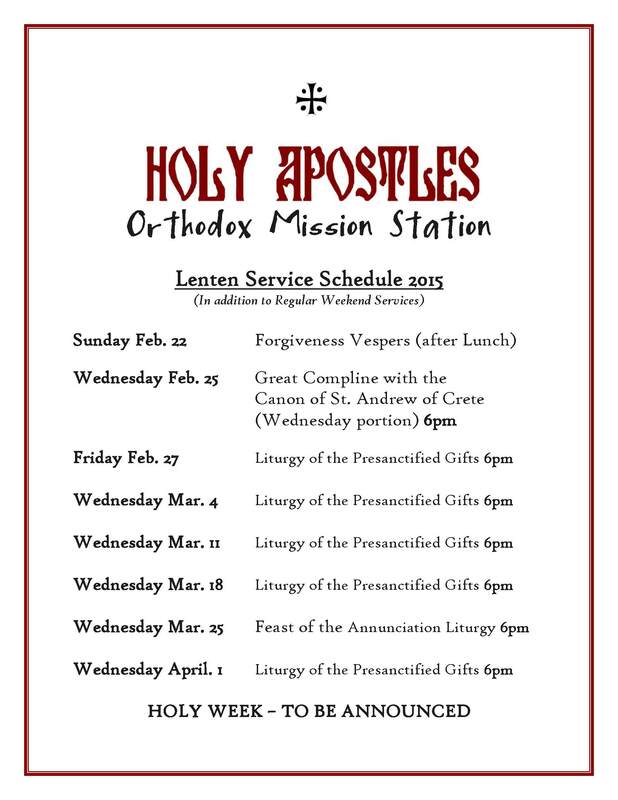 This Sunday evening we will enter into the season of Great Lent with Forgiveness Vespers. During Vespers, after the Great Prokeimenon, the hymnody of the Church moves into the Lenten melodies and the vestments are changed from light to dark. At the conclusion of Vespers, we ask and receive forgiveness from each other. As we do, the hymns of the Paschal Canon are traditionally sung, offering us a glimpse of the joy that only enters the world through the Resurrection of Christ. The character of Lent is often described as “joyful sorrow” or “bright sadness,” for we as Christians have become people of hope who are enabled to have faith in God’s victory over sin and death, through “the Cross, the tomb, the Resurrection on the third day”. We may not use the Paschal greeting “Christ is Risen” all year – but these words are always carried – enthroned – in the heart of the Christian. These hymns sung remind us that repentance is the first and ongoing step we take – on Forgiveness Sunday and every day – to enter into the joy of life in Jesus Christ. I hope you will be able to participate in Forgiveness Sunday this weekend, and receive the compassionate and mercy that comes from God. As you have time, take a moment this week to read this Reflection on Forgiveness Sunday by Father Alexander Schmemann.